All authors have a current or past association with the University of Warwick and the early modern core module ‘The European World’. Institutional affiliations appear only for those now based elsewhere. Humfrey Butters, Emeritus Reader in History, was twice a Fellow at the Harvard University Center for Italian Renaissance Studies, Villa I Tatti, Florence. His main works include Governors and Government in Early Sixteenth-Century Florence (1502â€“1519) (1985) and the edition with historical commentary of volumes VIII and IX of the complete correspondence of Lorenzo de’ Medici (Il Magni_ co) (2001 and 2002). Monarchy Men (1972), Astrology and the Popular Press (1979), Cromwell’s Navy (1989), The World of John Taylor the Water-Poet (1994) and When Gossips Meet:Women, Family and Neighbourhood in Early Modern England (2003). His most recent book is England’s Culture Wars (2012). Henry J. Cohn, Emeritus Reader in History, also formerly lectured at Glasgow and Leicester universities. 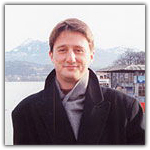 He specializes in German history of the _ fteenth and sixteenth centuries: government, representative institutions and the social and economic consequences of the Reformation. 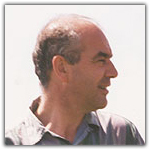 He is author of The Government of the Rhine Palatinate inthe Fifteenth Century (1965 and 1991), and edited Government in Reformation Europe (1971) and Parliaments, Estates and Representation, vols 22â€“27 (2002â€“7). 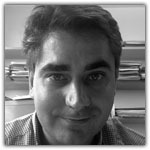 StÃ©phane van Damme is a researcher in the Centre for History at Sciences Po. His research interests focus on the Jesuits, the cultural history of philosophy and the study of metropolitan cities. 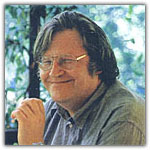 His publications include L’Epreuve libertine: Morale,soupÃ§on et pouvoirs dans la France baroque (2008) and the co-edited collection Affaires,scandales et grandes causes: De Socrate Ã Pinochet (2007). Jonathan Davies, who gained his PhD at the University of Liverpool, is an expert on Renaissance Italy. His books Florence and its University during the Early Renaissance (1998) and Culture and Power: Tuscany and its Universities 1537-1609 (2008) use the focus of higher education to examine the cultural, economic, ecclesiastical, political, and social histories of Florence and Tuscany from the fourteenth to the seventeenth centuries. 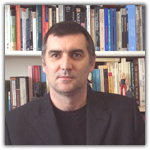 He has edited the essay collection Aspects of Violence in Renaissance Europe (2013) and his current research project examines the nature of violence in early modern Italy, especially in the context of universities. 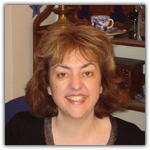 Janet Dickinson works on the social, political and cultural history of the English court during the sixteenth century and is currently focusing on the signi_ cance of chivalric culture in Elizabethan politics. She has taught at the universities of Warwick, London, Oxford, Southampton and Durham, and is currently a Teaching Fellow in early modern British history at the University of Birmingham. Anne Gerritsen, who gained her PhD in East Asian Languages and Civilizations from Harvard University, specializes in the history of pre-modern China. Her _ rst book, entitled Ji’an Literati and the Local in Song-Yuan-Ming China (2007), deals with the role of temples in the formation of literati communities in Jiangxi province. Her current project focuses on the impact of global trade on pre-modern local communities, especially in the porcelain town of Jingdezhen, also in Jiangxi province. militancy within the urban centres of France during the Reformation. Publications include a monograph entitled Catholic Activism in South-West France, 1540â€“1670 (2006). 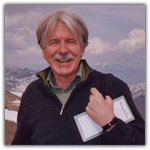 Steve Hindle is the W. M. Keck Foundation Director of Research at the Huntington Library, California. Previously, he taught historiography and early modern history at Warwick. He has worked extensively on the history of rural communities in early modern England. He is the author of The State and Social Change in Early Modern England (2000) and On the Parish? The Micro-Politics of Poor Relief in Rural England, c. 1550â€“1750 (2004). His next monograph, a study of the Warwickshire parish of Chilvers Coton, is provisionally entitled ‘The Social Topography of a Rural Community in Seventeenth- Century England’. 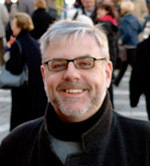 Colin Jones, currently Professor of History at Queen Mary University of London, was a member of Warwick University’s History Department from 1996 to 2006. He is a specialist on the history of France, especially from the seventeenth to the nineteenth centuries (including the French Revolution), and the history of medicine. Recent books include The Great Nation: France from Louis XIV to Napoleon (2002), Paris: Biography of a City (2004: winner of the Enid MacLeod Prize for Franco- British studies) and Charles Dickens, A Tale of Two Cities and the French Revolution (co-editor: 2009). He is a Fellow of the British Academy. 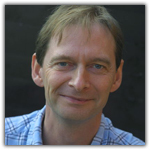 Mark Knights works on early modern British history and has a particular interest in political culture and discourse. Recent publications include The Devil in Disguise: Delusion, Deception and Fanaticism in the Early English Enlightenment (2011) and Representation and Misrepresentation in Later Stuart Britain: Partisanship and Political Culture (2005). He was also part of the editorial team behind The Entring Book of TF33807.indb 13 24/09/2013 13:05 xiv Notes on Contributors Roger Morrice (6 vols, 2007) and has been involved in creating www.earlymoderntexts.org, a virtual research environment for early modern British history. Beat KÃ¼min, formerly a Research Fellow at Magdalene College, Cambridge, and the University of Bern, works on rural and urban communities in England and Germanspeaking Europe c. 1400â€“1800. Publications include The Communal Age in Western Europe c. 1100â€“1800: Towns, Villages and Parishes in Pre-Modern Society (2013), The Shaping of a Community: The Rise & Reformation of the English Parish c. 1400â€“1560 (1996); Drinking Matters: Public Houses and Social Exchange in Early Modern Central Europe (2007); and the edited collection Political Space in Pre-Industrial Europe (c. 2009). independence. Publications include Colombia before Independence: Economy, Society and Politics under Bourbon Rule (1993) and The British in the Americas, 1480â€“1815 (1994). 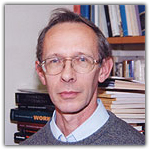 He is also the co-editor of Reform and Insurrection in Bourbon New Granada and Peru (1990) and Independence and Revolution: Perspectives and Problems (1999). Angela McShane gained her PhD from Warwick in 2005 and held an Early Career Fellowship at Oxford Brookes University until she took up a permanent post as Tutor in Graduate Studies for the joint Victoria and Albert Museum/Royal College of Art MA in History of Design in 2007. She specializes in popular political cultures of early modern England, has published numerous articles and is currently preparing a six-volume scholarly edition of political broadside ballads entitled Ballads on Affairs of State from Civil War to Glorious Revolution. 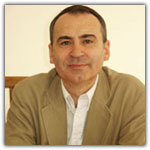 Peter Marshall is Professor of History and works on the religion and culture of the British Isles in the early modern period. His books include Reformation England 1480â€“1642 (2003), Mother Leakey and the Bishop: A Ghost Story (2007) and The Reformation: A Very Short Introduction (2009). Center for Renaissance Studies at Villa I Tatti, Florence, in 1998â€“99. He specializes in the Italian Renaissance, the early modern economy â€“ especially trading communities, artisans and industrial production â€“ and the culture of technological change. Publications include The Silk Industry of Renaissance Venice (2000) and the co-edited collections La seta in Italia dal Medioevo al Seicento (2000) and Il Rinascimento Italiano e l’Europa, Vol. 3: Produzione e techniche (2007). 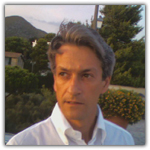 He is co-editor of a 12-volume series on the Italian Renaissance and Europe (2005â€“14). 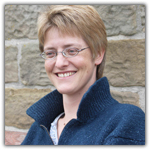 Penny Roberts’s research specialism is the social, religious and political history of sixteenth-century France. Her publications are principally focused on the period of its religious wars (c. 1560â€“1600), including ‘Royal Authority and Justice during the French Religious Wars’, P&P, 184 (2004) and ‘The Languages of Peace during the French Religious Wars’, Cultural and Social History, 4 (2007). 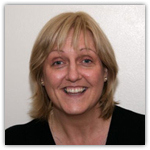 However, her teaching interests range much more widely, encompassing pre-modern European history from c. 1250 to 1700. Claudia Stein is a Wellcome Lecturer whose research interests include the medical world of Bavaria during the Enlightenment and the visualization practices of public health care in modern Britain and Germany. She is the author of ‘The Meaning of Signs: Diagnosing the French Pox in Early Modern Augsburg’, Bulletin of the History of Medicine 80 (4/2006) and Negotiating the French Pox in Early Modern Germany (2009).